Born in 1976, Leo Ananth holds an engineering degree in Computer Science, Masters in Business Administration and MS(Software Systems) from BITS, Pilani. He is also certified Project Management Professional(PMP). 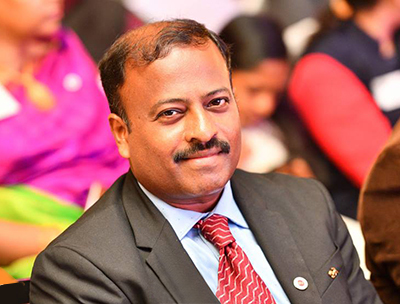 He founded eQuadriga Software Private Limited in Trichy, India in December 2000 and remained its MD since then. He has more than 10 years of experience in IT and has worked in Germany, Spain ,Switzerland. He is the past chairman of CII Trichy Zone and is also a member of the Advisory Committee of the Bharatidasan Univeristy Technology Park(BUTP), Trichy.